One of the coolest Star Wars Episode I small vehicles (and the actual first "Menace" release, although in a Sneak Preview package). 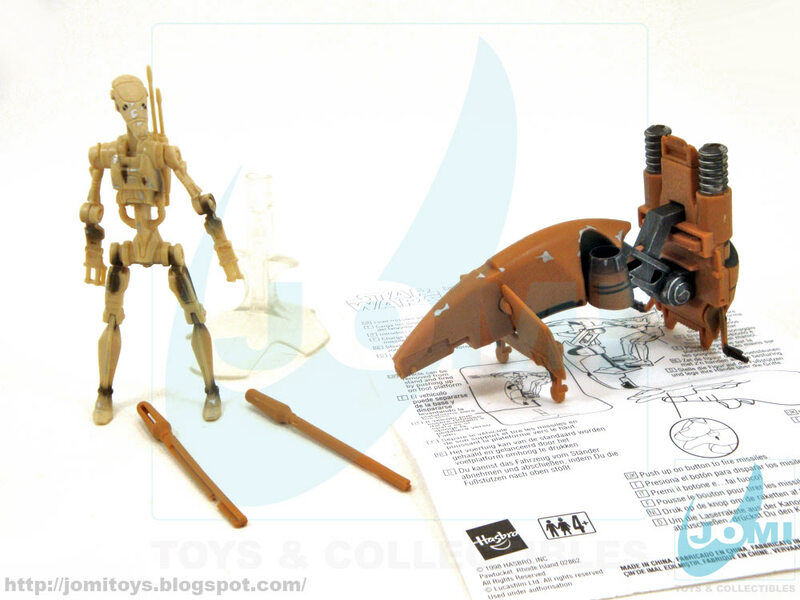 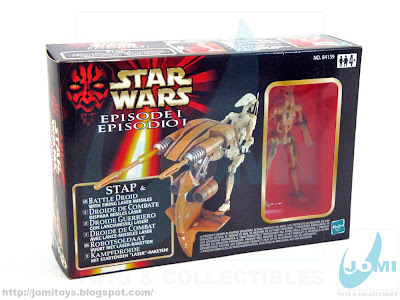 An excellent patrol and reconnaissance vehicle, STAPS are piloted by battle droids, which function as the Trade Federation´s personal drone army. 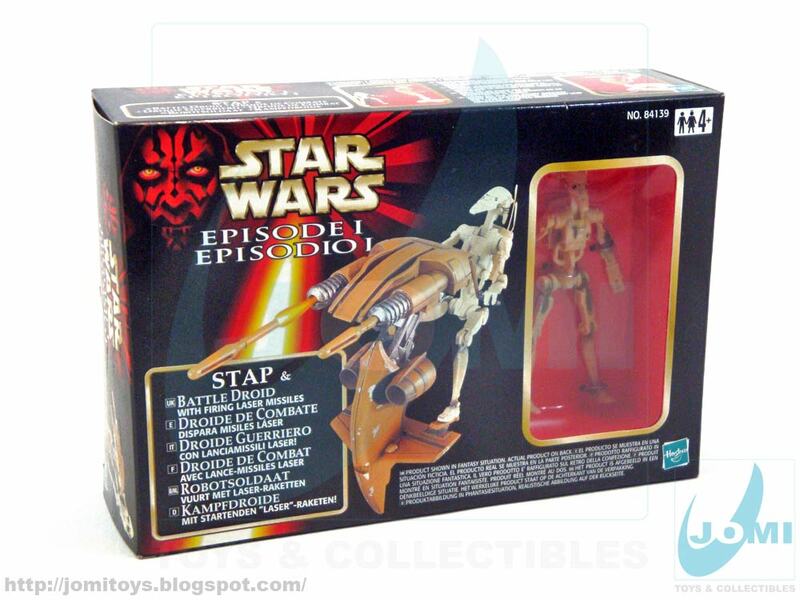 The STAP is a small, mobile and rapidly moving craft outfitted with high-power dual laser missiles. 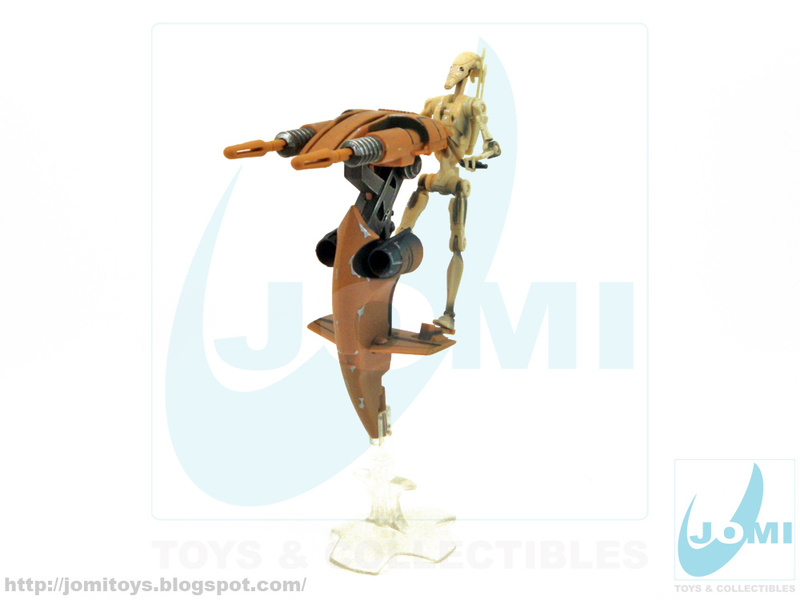 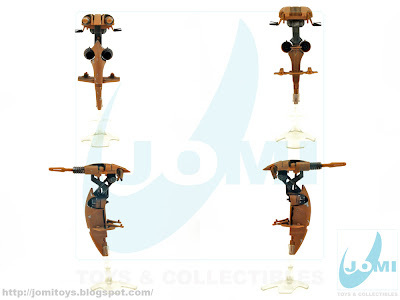 Including a handgrip (clear stand) to simulate hovering and flying, this craft is considerably detailed and like many of other Star Wars vehicles, very close to the actual movie models. 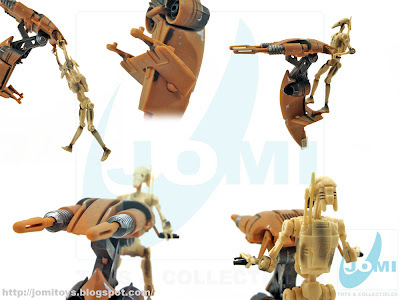 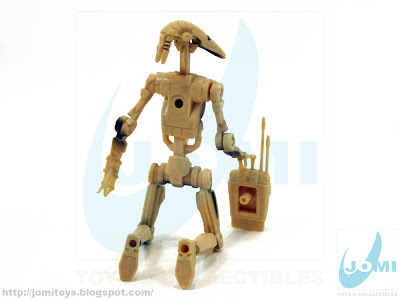 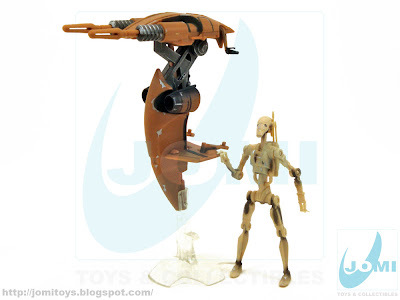 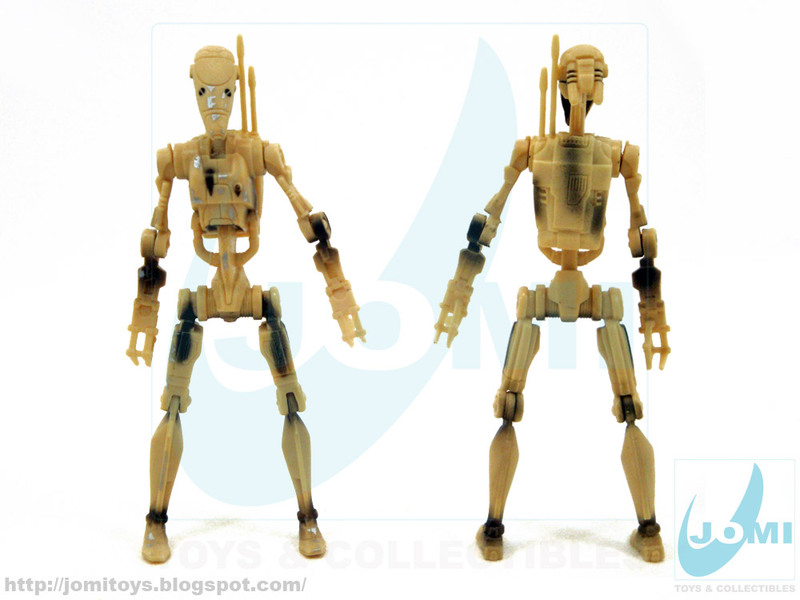 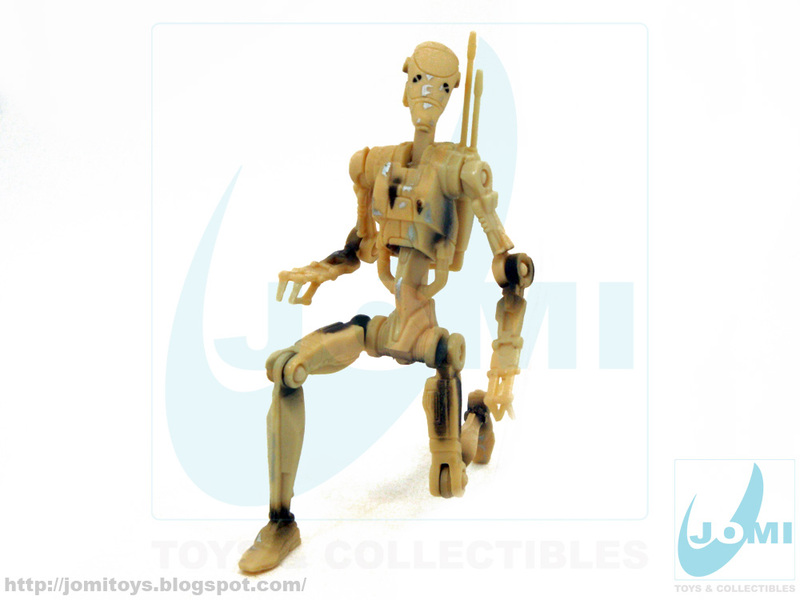 Articulated enough to perform needed poses, the funny loose articulation actually reminds the movie droids. Detail shots. 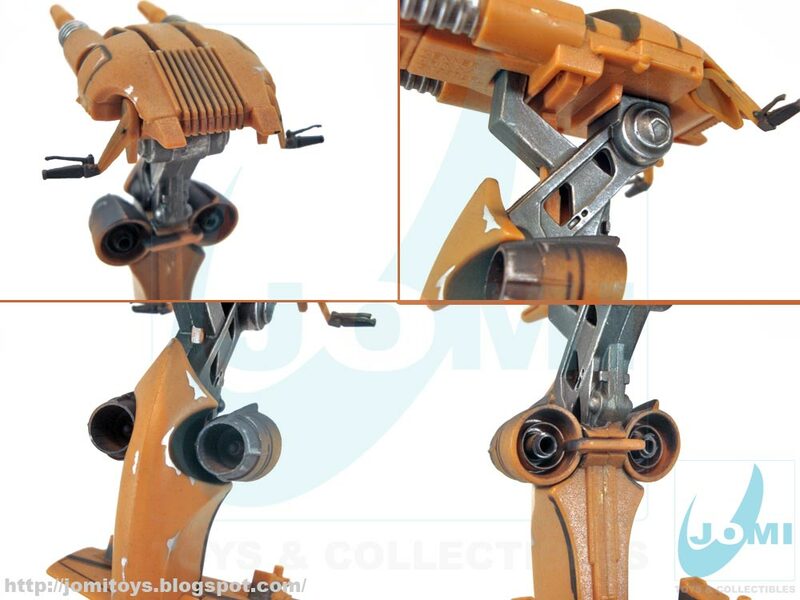 The painting also helps to make this toy yet another great collectible. 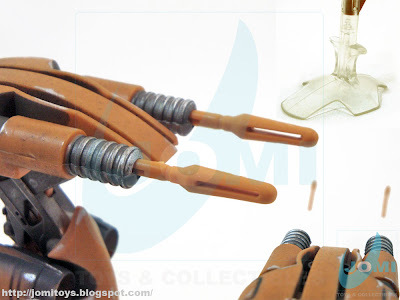 Button under handgrip activates battle droid and fires missiles. A small set and a great asset.